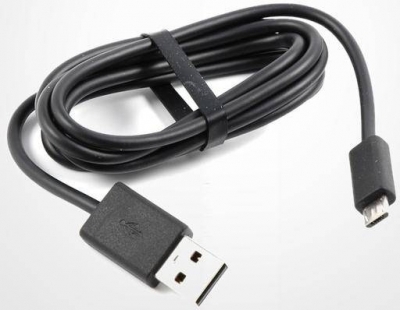 Originální USB kabel HTC DC M400 se standardizovaným konektorem microUSB pro datové přenosy, nabíjení apod. Vhodné pro všechny mobilní telefony HTC s microUSB konektorem. 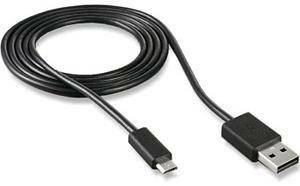 Originální USB kabel HTC DC M400 se standardizovaným konektorem microUSB pro datové přenosy, nabíjení apod. Vhodné pro všechny telefony s microUSB konektorem například HTC 7 Mozart T8698, 7 Trophy T8686 Spark, Desire 10, Desire 10 Lifestyle, Desire 10 Pro, Desire A8181 Bravo, Desire 200 102e, Desire 300 (G3) 301e, Desire 310 (V1) D310n, Desire 310 Dual Sim (V1) D310f, Desire 320 (V01) D320n, Desire 500 506e, Desire 500 Dual Sim 5060, Desire 510 (A11) D510n, Desire 516 Dual Sim (V2) D516w, Desire 526G Dual Sim D526h, Desire 530, Desire 601 315n, Desire 610 D610n, Desire 620 (A31) D620n, Desire 620G Dual Sim D620h, Desire 626G Dual Sim D626h, Desire 628, Desire 630, Desire 650, Desire 728, Desire 728G, Desire 816 (A5) D816n, Desire 816G Dual Sim D816g, Desire 820 (A51) D820n, Desire 820 Dual Sim (A50) D820q, Desire 825, Desire 828, Desire 830, Desire C A320e Golf, Desire C A320eN, Desire Eye (E1) M910n, Desire HD A9191 Ace, Desire S S510e Saga, Desire X T328e Proto, Desire Z A7272 Vision, Evo 3D X515m, Explorer A310e Pico, Gratia A6380 Aria, HD2 T8585 Leo, HD7 T9292 Grove, HD mini T5555 Photon, Hero A6262, ChaCha A810e, Incredible S S710e ViVo, Legend A6363, One 801n, One A9, One A9s, One Dual Sim 802w, ONe E9, One E9s, One (M8), One M8s, One M9, One M9s, One Max (T6) 803n, One mini 601n, One mini2, One S Z560e Ville, One S9, One SV (LTE) C525u K2, One V T320e Primo, One X S720e Endeavor, One X+ S728e Endeavor, One X9, Radar C110e Omega, Rhyme S510b Bliss, Sensation Z710e, Sensation XE Z715i Pyramid Beats Audio, Sensation XL X315e Runnymede, Titan X310e Eternity, Smart F3188 Rome, Tattoo A3288 Click, Touch HD T8282 BlackStone, Touch2 T3333 Mega, Wildfire A3333 Buzz, T-Mobile G2, Pulse, Pulse mini, Wildfire S A510e Marvel, Windows Phone 8S by HTC A620e Rio, Windows Phone 8X by HTC C620e Accord a další HTC telefony s microUSB konektorem. Kód 73H00315-00M.